MinorLeagueDugout.com takes great pride in our ability to bring readers the wacky, wild and humorous stories from the world of minor league baseball. Unfortunately, this is not one of those stories. 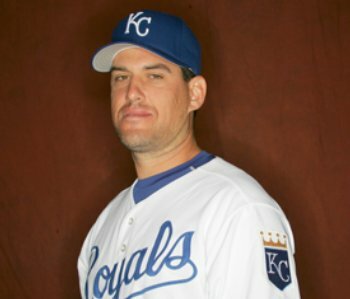 Last night during the Tulsa Drillers’ Texas League game at Arkansas, Tulsa first base coach Mike Coolbaugh was struck in the head by a line drive. Coolbaugh died less than an hour later. The play happened in the top of the ninth inning with the Drillers trailing 7-3. Coolbaugh was coaching first base when a Tino Sanchez lined a foul ball that stuck him in the head. Paramedics administered CPR on the field before taking him via ambulance to the hospital. Coolbaugh stopped breathing as the ambulance reached the hospital. A career minor leaguer, Coolbaugh spent a combined 44 games in the major leagues with Milwaukee and St. Louis. His brother Scott also reached the bigs and is currently the hitting coach with the Frisco RoughRiders, also of Texas League. He is survived by a pregnant wife and two young sons. Reaction from around the minor leagues has been one of shock and disbelief. Tim Cossins, Florida’s roving hitting instructor and its Gulf Coast League manager has been fielding phone calls all afternoon. Jupiter Hammerheads’ players and coaches spent much of the afternoon speculating as to what kept Coolbaugh, who Cossins called “an amazing athlete with incredible instincts” from getting out of the way of the ball. Most guessed Coolbaugh must have been tracking the position of defensive players, allowing the pitch to catch him off guard. Hammerheads hitting coach Josue Espada played against Coolbaugh in the late 1990s and was floored to hear the news when he entered the clubhouse on Monday. Espada will coach first at times, but often sends players out to the box. On Monday, he joined the player’s conversation about the dangers of coaching first. Though they didn’t know Coolbaugh personally, most Hammerheads were just as unnerved by his death as the coaches who knew him. Monday’s Drillers game against Wichita was postponed by the Texas League. The Drillers asked, and the Texas League agreed that Sunday’s suspended game be declared a final. The Drillers announced Monday that they will resume their regular season schedule on Tuesday in Wichita. Donations can also be made in person at any Tulsa area Spirit Bank location. Spirit Bank started the fund with a $5,000 donation. Minor League Baseball asked its teams to fly their flags at half mast and observe a moment of silence prior to Monday’s games in remembrance of Coolbaugh. MinorLeagueDugout.com would like to take this opportunity to offer our condolences to Coolbaugh’s family and the Colorado Rockies organization. Check out my blog for more on wild minor league promotions and minor league baseball. Buy a Ft. Myers Miracle game cap or other Miracle merchandise today! Alligators in a player’s bed, players donning mascot uniforms during games and female fans who will do anything to meet ballplayers are just some of the topics covered in these outrageous real life tales from minor league baseball. Copyright © 2006 MinorLeagueDugout.com. All rights reserved.